The BBC has revealed this week that they are currently developing a new technology, which will allow them to control toy Daleks using metadata contained within ‘Doctor Who’ episodes shown on your home TV. Adding even more fear to the already ominous Daleks. Watch the video after the jump to see the new BBC metadata technology in action. The metadata is sent during the Doctor Who shows, together with the audio and video. The metadata is transferred to the robot Dalek using a set top box via Wi-Fi. 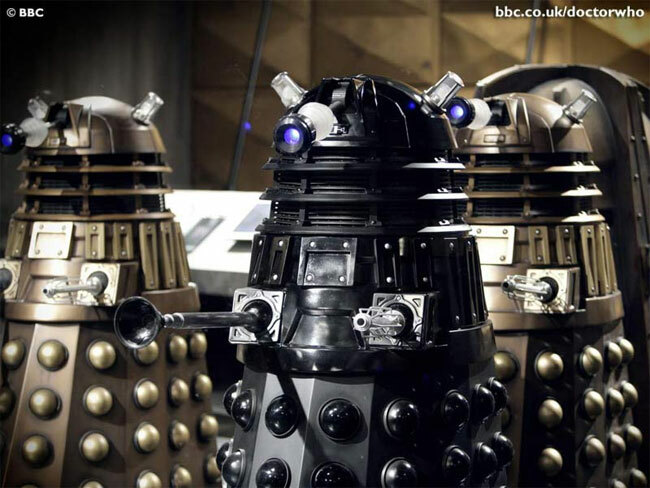 Enables the BBC to command it, and follow the moves and actions of the Daleks within the show. Unfortunately the new metadata technology is still currently under development, so don’t expect any of these met data Daleks to arrive in stores for this holiday season.